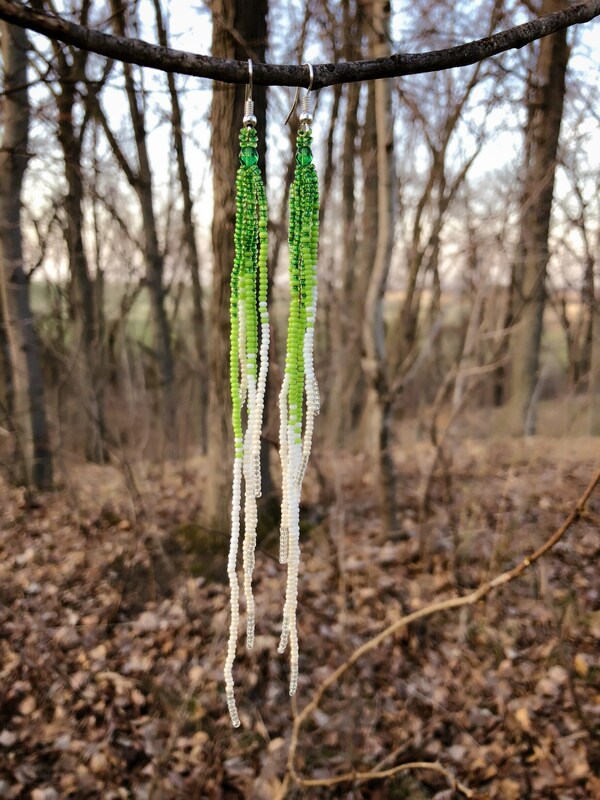 Green and white beaded earrings. 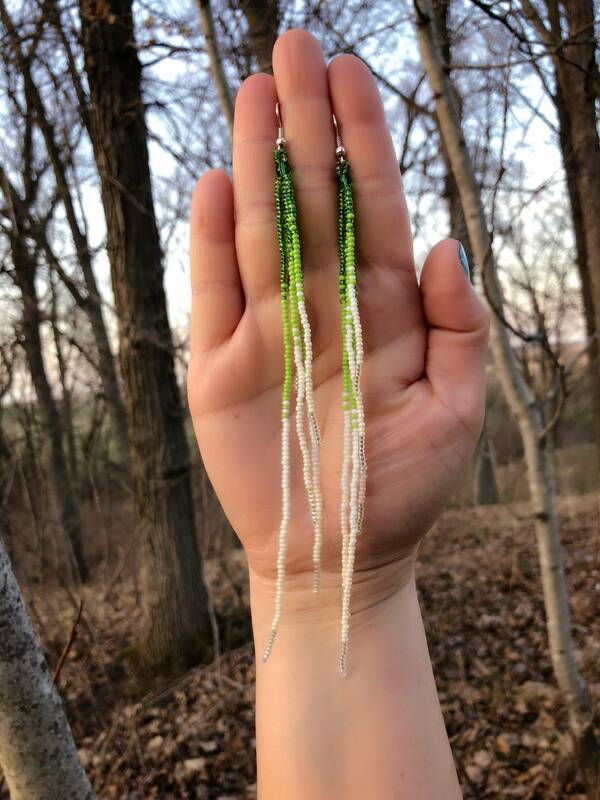 These earrings at 7” in length and are light weight. Authentic Native American made.